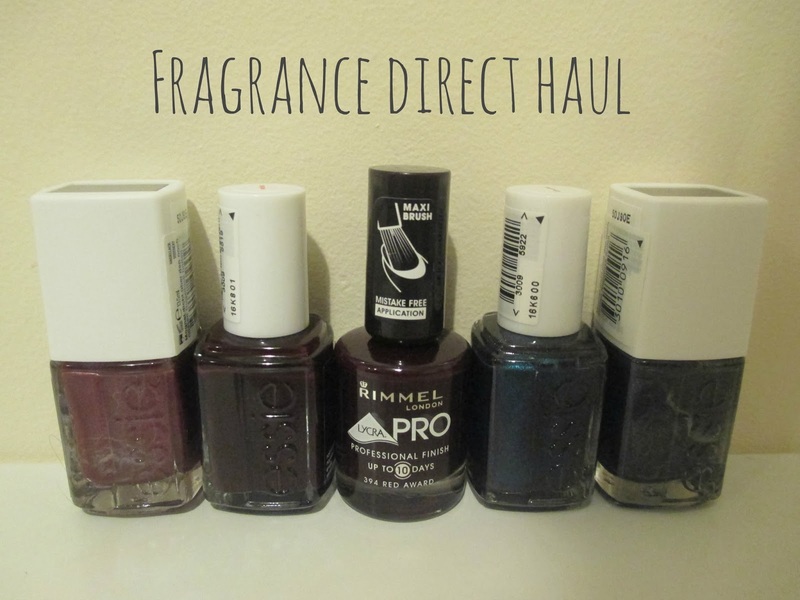 I was beyond excited when i saw that Fragrance direct had stocked up on Essie Polishes as i have been dying to get my hands on some new winter shades. I got the shades Wicked and Dive Bar (which looks to die for) and their 'Repstyle' varnish in the colours Snake It Up and Sssssexy as well as a Rimmel varnish in Red Award. I decided to try one of the Repstyles first and although i love the colour i'm not impressed with the actual effect. It's supposed to create a snakeskin like effect and i followed the instructions which involved hovering a magnet over a freshly painted nail, but it barely worked on one nail. I don't know if maybe i was doing it wrong or whether anyone has any tips on how to get a better result but they'd be much appreciated. Despite the effect being a flop, the actual colour is a beautifully rich, dark, deep blue. This is great its so easy to forget fragrance direct doesn't just sell perfumes. I love the look of the colour wicked! Same, it's the perfect oxblood red!